As New Years rolled around, I missed all the regular New Years-y posts on social media. I didn’t share my dreams, goals or my word for the year. And I did this on purpose. I did it because I needed to be free to not do what everyone else was doing. Most of the time my writing and sharing comes from a deep welling up and pouring out of the heart. And it has everything to do with how God created me – with the desire for artistic expression. But on this day, I could sense I was wanting to write something beautiful, something compelling – but it wasn’t coming from a soul place. I knew it was coming from a place of wanting validation. I wanted to write something for people to “like”. And THIS posed a problem for me, a conflict within. Because my deepest desires and longings aren’t actually for other people to like me or validate me… Not Really. Of course that’s a human-y thing we all get trapped in from time to time. But in the very core of my being, I long to KNOW that I am loved by my Creator and KNOW that I am free to love who He’s made me to be. So I said to “No” to any sort of reaching for superficial validation. I said “Yes” to more freedom. My word for 2017 is FREEDOM. Over the past number of years, I’ve done a lot of internal healing. Healing old wounds, unhealthy patterns and modes of operation, and ultimately, healing how I experience God. Believing I was not enough was a way of being and self-love seemed impossible because I didn’t think God truly loved me – flaws, scars and all. And although I see healing, wholeness and freedom as a fluid, ongoing, lifetime process… I know that it’s time for me to lean in to the wholeness and freedom God has offered me. He has healed more of my heart than I knew possible. 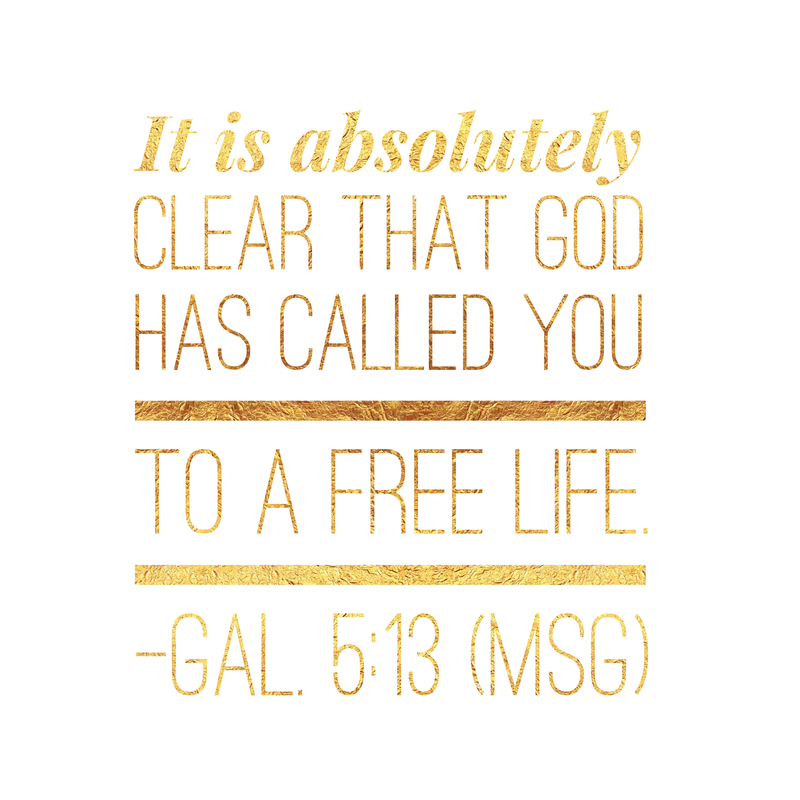 It says in Galatians 5:1 that freedom is exactly why Christ came. 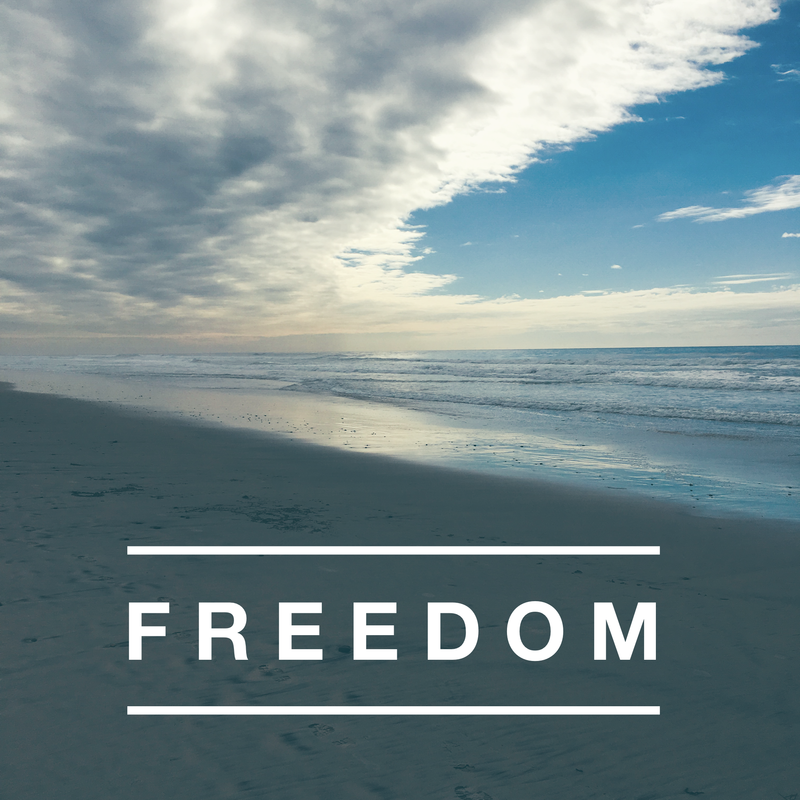 He’s invited us into FULL freedom and offered it to us freely if only we’ll choose it. So it leaves me asking myself the question: Am I going to lean in or am I going to lean out of His love and freedom?? Over Christmas, I heard a priest share how he practices FREEDOM FROM things so that he can experience more FREEDOM FOR things. Oh my goodness – Yes. So what is it I want to be “free from” in order to be “free for”??? Honestly, I look at these ideas (perhaps even ideals) and I understand these are considered life goals. Not things I can transform in a singular year. But if I can point the arrow of my heart in this direction… If I can move ever so slightly towards God’s glorious offering of freedom? I’m going to say YES. I say the biggest YES to more FREEDOM.